UNOVIS 3. 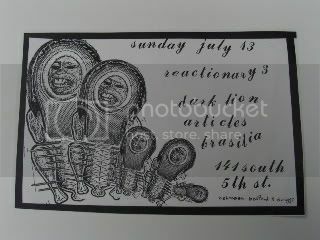 Various random show posters/flyers. All early Unovis Workshop posters/flyers have the designation of Unovis 3. This designation is now retired. Show @ the Knitting Factory, Manhattan NY. 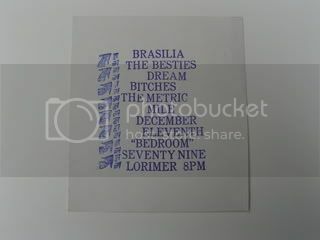 Xerox flyer. Show @ East River Music Project, Manhattan NY. Letterpressed flyer. Show @ the Woodser, Brooklyn NY. 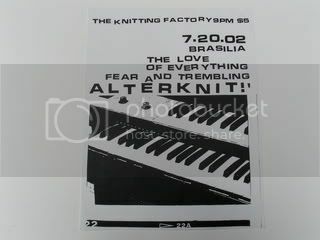 Xerox flyer. Show @ 79 Lorimer, Brooklyn NY. 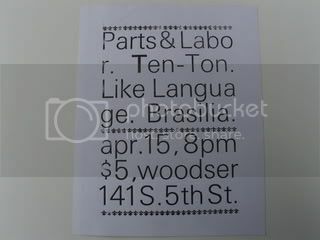 Letterpressed flyer. Show @ the Woodser, Brooklyn NY. 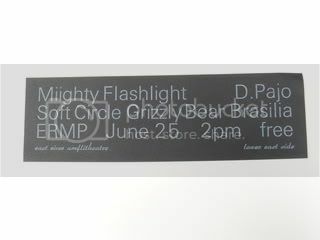 Letterpressed flyer. Show @ Sin-E, Manhattan NY. 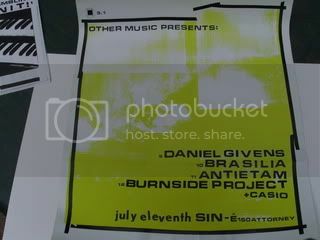 Silkscreened poster. 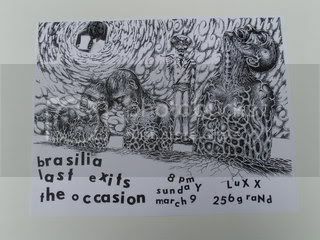 Show @ Luxx, Brooklyn NY. Xerox flyer. UNOVIS 2. 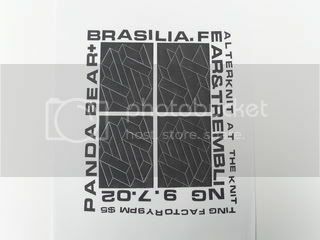 BRASILIA S/T CD-R.
BRASILIA S/T CDR. Approximately 200 copies. 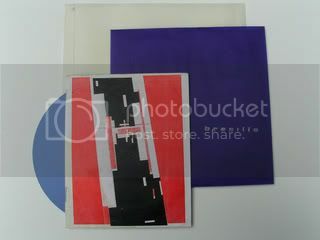 Hand-sewn clear vellum outer envelope; wax-stamped blue vellum inner envelope; two color xerox, eight page inner booklet; spray painted CD-R. Available at shows and at Other Music NYC. Out of print. Recorded by Rob McGregor in Gainesville, FL. On the two recordings on this CD-R: Mark Rodriguez- drums, Ivy Lopez- drums, Jennifer Sunderland- organ, vocals, Roy Styles- bass/feedback. 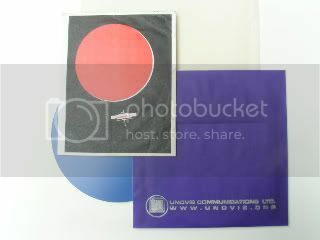 You are currently browsing the unovis workshop blog archives for April, 2011.